With the introduction of a new membership scheme across a museum trust in Northumberland, there’s a brand new package of benefits for group travellers, organisers and drivers in 2018. 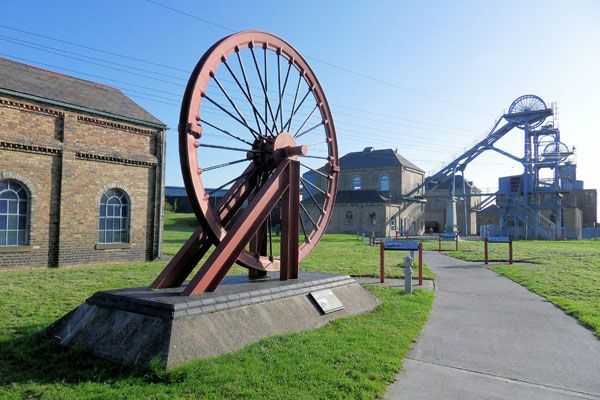 Woodhorn Charitable Trust has museums in Berwick, Morpeth, Ashington and Hexham. Woodhorn Museum on the coastal route in the south eastern corner of Northumberland is home to the famous Pitmen Painter’s art collection. Tens of thousands of visitors from across the globe flock to the museum each year to discover the extraordinary collection of artworks created and amassed over 50 years by the Ashington Group. The group, which was established through an adult education art class in 1934, and largely consisted of coal miners who created a unique record of life in Ashington “the biggest pit village in the world”, was returned to the public eye thanks to the award winning play Pitmen Painters by Billy Elliot writer, Lee Hall. The collection is now a central feature of the historic colliery site. For the first time a free guided tour of this stunning site including a brief introduction to the work of the Pitmen Painters will be available to all groups booking their visit in advance. In addition, discounts will be offered for all purchases in the museum shop including unique Pitmen Painter items. Bespoke, discounted refreshment packages will be available in addition to a meal voucher for the driver, group admission rates with free admission for the organiser and driver. The site also has free coach parking. Hexham Old Gaol and Berwick Museum & Art Gallery are part of the new Trust-wide membership scheme and are also able to offer new benefits for advance bookings with group admission rates, free group leader and driver, special guided tours or a museum introduction, and shop discounts. The Old Gaol, situated in the centre of Hexham and very close to the historic Hexham Abbey making it perfect for a combined outing, is the oldest purpose built prison in England dating back to the 1300s. Exploring this fully accessible historic site, visitors will discover life, crime and punishment in the lawless medieval borderlands. Berwick Museum & Art Gallery within the English Heritage Berwick Barracks site, is home to Berwick’s Burrell Collection – a stunning collection of fine art and ceramics gifted to the town by shipping magnate, Sir William Burrell. Visitors can also find out about old Berwick through an entertaining and informative recreation of the seaside town plus displays on the turbulent Middle Ages. Group visitors to all of the museums will have an extra special benefit of being able to convert their individual admission ticket into an annual pass during their visit giving free return visits for the following 12 months. The new scheme and benefits package comes into operation from Saturday 10th February 2018.